It comes as no surprise that more people have included ‘going green’ in their New Year’s resolutions. One of the biggest impacts to be made is switching from a gas or diesel vehicle to an electric one. Doing so requires some changes and adjustments, but it’s worth it and most people are happy to have made the change. TriStar Electric provides professional electric vehicle charger installation throughout the state of Maryland. Were you gifted an electric vehicle for the holidays, or are you planning on buying one this year? Electric vehicle chargers are an important component of owning an electric vehicle—after all, they charge the battery so the vehicle can be driven! Learn more about how it works and how to have one installed in your home. While charging stations can be found in many US cities now, and especially cities in Maryland, it’s still important for homes to have electric vehicle chargers. A docking station can be installed in your garage or wherever you wish to regularly charge your electric vehicle. It’s advised to have it installed before purchasing your vehicle, but after you’ve decided which one you want. You may need different chargers depending on the vehicle. Besides reducing our carbon footprint, there are many other benefits of electric vehicles. Tax credits, better ‘fuel’ economy, and reduced maintenance and upkeep costs. Although the current up-front sticker price for electric vehicles is still a bit higher than gas or diesel vehicles, especially for technologically-advanced brands like Tesla, money is almost always saved in the long run. In fact, just two years ago you’d pay double what you’d pay for electric vehicle chargers today. As electric vehicles become more popular, they become more economical. 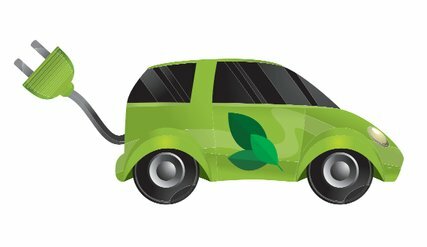 Ready to commit to going green and have your electric vehicle charger installed today? Call TriStar Electric! Call TriStar Electric for to install electric vehicle chargers today! If you have any questions about electric vehicle chargers for Tesla or other vehicles, please contact TriStar Electric, Maryland’s premier residential and commercial electrician, by calling 410-799-5791 or 301-384-8880. Or, you can fill out the contact form on our website. This entry was posted on Wednesday, January 6th, 2016 at 4:34 pm. Both comments and pings are currently closed.